Is your shower feeling a little cold? Are you finding a puddle of water around your water heater? Those could be indications that it may be time to repair or replace your current water heater. 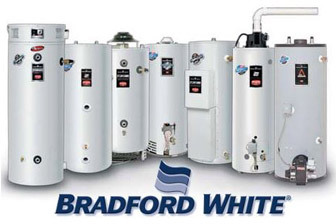 You may need to think about replacing your water heater if it’s about 10 or 12 years old, which is the average life expectancy. Water heaters have improved tremendously over the past few years to be more efficient so you might even save on your energy bill by replacing it. But there are also some indications that a simple repair may be needed. For example, if you have hot water, but it is going cold prematurely, that could indicate you need to replace the dip tube in your water heater. The dip tube prevents the hot and cold water from mixing inside your water heater. Or, if you have a gas water heater and are not getting any hot water, it could mean that the pilot light has gone out, or you may need to replace your thermal coupling. With an electric water heater, a lack of hot water or insufficient hot water could indicate you need to replace the elements or thermostat. These are just some examples of possible repairs that can help ensure you get the hot water you need. Call Beaverton Plumbing, and we will make sure the repairs or the installation of your new water heater is both speedy and correct.